In this week’s episode, we chose a beer brewed in Fredericksburg, Texas. 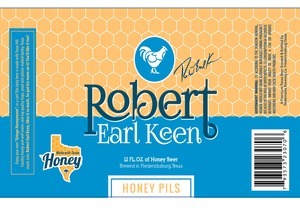 The Robert Earl Keen Honey Pils is a lager made with local honey. This beer manages to find a balance between complex and refreshing which means you can show it off to your friends, or enjoy it on your front porch on a hot Texas summer night.